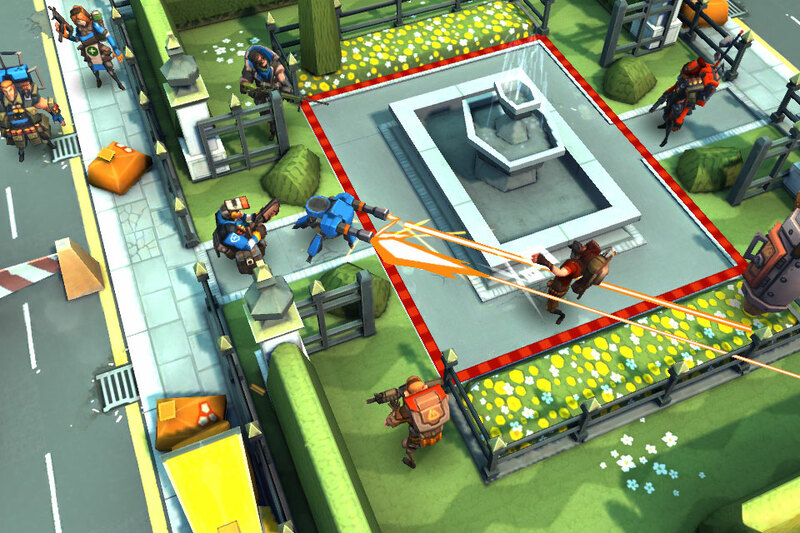 BRINK™ developer Splash Damage along with new British publisher WarChest™, have just announced a new upcoming game called RAD Soldiers™, a turn-based multiplayer strategy title for smartphones and tablets and initially released exclusively on iOS in June 2012. RAD Soldiers™ is set in London shortly after mysterious McGuffin Rockets land, leading to a city-wide evacuation. Teams of mercenaries hired by shadowy figures now battle for control of the Rockets and reap their mysterious rewards. Players must assemble a unique squad of collectible mercenaries with customizable weapons, outfits, and abilities, then take their squads into tactical combat on a turn-based battlefield, either offline against AI opponents, or online against their friends. The game will be free to play with an in game currency system that allows players to unlock brand-new Soldiers, customization options and equipment in the in-game store. The development team is already at work on a planned stream of constant updates, including new maps, soldiers, weapons, and abilities. 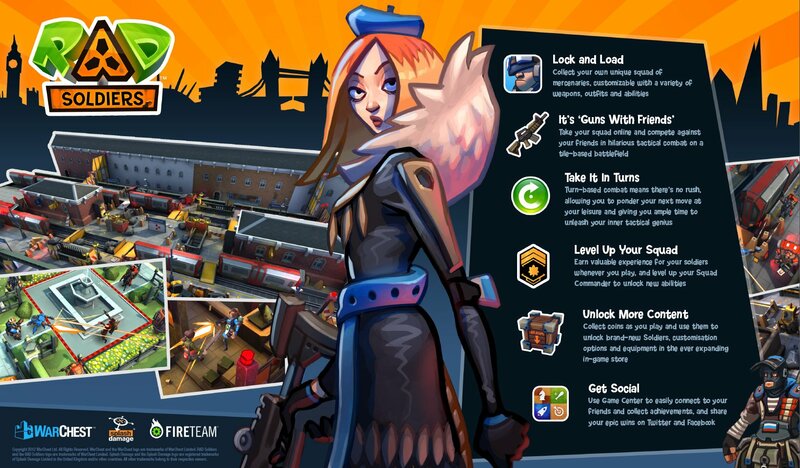 iOS users will bea able to use Game Center to easily connect with friends and collect achievements and the game will leverage the power of online service provider FIRETEAM™ to deliver “an immersive cross-platform connected experience”. “Turn-based combat means there’s no rush, allowing you to ponder your next move at your leisure, and giving you ample time to unleash your inner tactical genius” said Game Director Richard Jolly, CCO of WarChest “and you’ll earn valuable experience for your soldiers whenever you play, leveling up your squad commander to unlock new abilities”. As you can see in the screenshots and teaser trailer (below), the game graphically looks fantastic, with that great 3D cartoony character style traditionally used in console and PC shooters like Team Fortress 2 and Monday Night Combat. I think this is a really cool sounding concept and it is awesome to see these bigger developers like Splash Damage from the PC and console world trying something new and different, AND taking a strong interest in iOS by bringing it to the platform first, when this probably could have just as easily been an XBLA or Steam title. I’m really looking forward to this release.